By now, everyone and their mother knows about the saga of Tyga, Blac Chyna, Kylie Jenner, and Rob Kardashian. Essentially, Tyga and Blac Chyna had a baby together, broke up, Tyga started dating Kylie, and Chyna started dating Kylie's half-brother Rob. Now, after two months of dating, Rob is engaged to Blac Chyna, making everything a lot more complicated. In between all of that, Chyna's BFF Amber Rose happens to be the ex-girlfriend of Rob and Kylie's sister Kim Kardashian's husband Kanye West. Whew! After a few Twitter spats between Rose and West, it seems like their beef is settled (thanks to Kim K), but are Kylie Jenner and Blac Chyna friends? Since the announcement of Rob and Blac Chyna's very swift engagement, all ears were waiting for the thoughts of the Kardashian family and friends, Tyga and Kylie Jenner in particular. While Kylie hasn't spoken out yet, Tyga candidly posted his thoughts on the matter on Twitter. In a surprisingly mature move (at least I think so), Tyga focused on the well-being of his and Chyna's son, King Cairo, and wished her good luck. Are the tides turning? Since Tyga and Kylie are so close now and Tyga is happy for Chyna's engagement, I venture to say that while Kylie and Blac Chyna might never be the best of friends, they just might be cordial for the sake of both their families. The interactions between Kylie and Blac Chyna have not always been so pleasant. If you really think about it, though, would you be friends with your current partner's ex-girlfriend? It isn't exactly likely. All of the drama started in August 2014, when Tyga and Blac Chyna broke off their engagement, and Tyga was subsequently seen hanging out with Kylie. 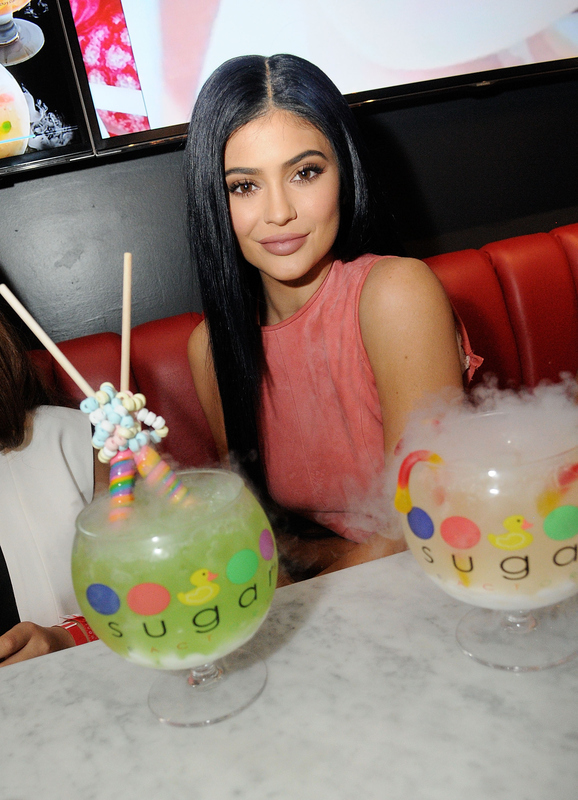 Throughout 2015, Kylie and Chyna stirred up drama and rumors via social media. In April 2015, Chyna posted a photo of herself wearing massive wax lips in an apparent dig to Kylie's famously plumped lips. Kylie was also accused of copying Chyna's Instagram poses and photos, allegedly in an attempt to be just like her. On top of that, this February, Chyna seemingly poked fun at Kylie's new cooking series, because she had started her own social media page, Cooking With Chyna, a few months prior. Based on the history between Chyna, Kylie, and the Kardashian family, I can confidently say that Kylie and Blac Chyna aren't friends, but might be willing to keep the drama on social media and not IRL. Let's hope that keeps working because they each seem to have plenty of good things going on their lives.